Where to find Bemidji hotels near an airport? Where can I find hotels in Bemidji that are near tourist attractions? For travelers visiting Northwest Minnesota and want to book a comfortable hotel in Bemidji, there are a variety of options. The center of Bemidji offers 5 Expedia-listed hotels and apartments within a 0.1-kilometre (0.06-mile) radius. Bemidji's downtown area is an easy walk from places to stay like Holiday Inn Express Bemidji and AmericInn Bemidji. 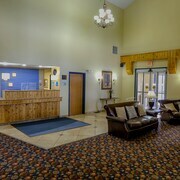 The Super 8 Bemidji MN and the Best Western Bemidji Inn are two Expedia-listed hotels that may match your requirements. The Super 8 Bemidji MN is situated 3 kilometres (2 miles) from the middle of Bemidji and the Best Western Bemidji Inn can be found 4 kilometres (2 miles) away. The Country Inn & Suites By Carlson, Bemidji, MN is 2 kilometres (1 mile) away from the heart of Bemidji and is another worthy alternative. Bemidji is blessed with some great attractions for visitors and locals alike; discover more at Expedia's informative Bemidji travel guide. What are the most popular Bemidji hotels? 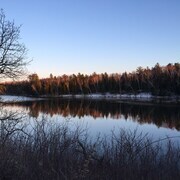 Are there hotels in other cities near Bemidji? 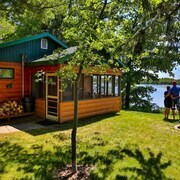 What other types of accommodations are available in Bemidji? Explore Bemidji with Expedia.ca’s Travel Guides to find the best flights, cars, holiday packages and more!